Recently templateism.com and pakistan66.com has jointly launched a new Pakistan theme (template) for the blogger blogs. 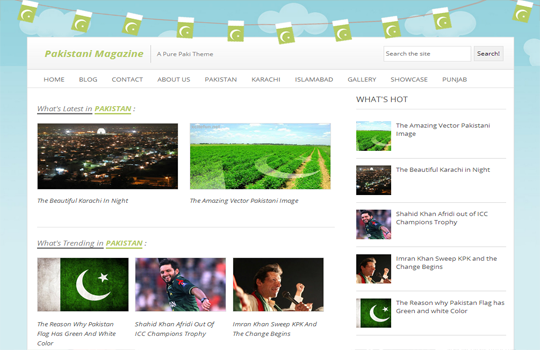 this theme is specially designed for the Pakistani blogs. on this theme you will find beautiful Pakistani flags and Music of a Pakistani national song playing.